It would be hard to design a better rodent-killing tool than Mother Nature accomplished with the snake. Mole snakes consume voles in their own burrows, while timber rattlesnakes ambush squirrels as they descend tree trunks. Black-headed bushmasters prowl for rats amid the jungle floor, and mambas subsist on the mice living near rural villages. But while snakes are rightly renowned for the pest-control services they provide, this reputation does them a disservice; rats and mice aren’t the only critters on their menus. Snakes are a cosmopolitan group, and the diversity found across this 3,000-odd-species-strong clade is truly remarkable. Some snakes are large, some are small. Some snakes live underground, others inhabit the trees. Some snakes have legs (wait, what? ), others do not. Some snakes have venom; others lack teeth entirely. The group’s dietary breadth is similarly impressive. Rodents are certainly prominent in the diets of many snake species, but they are completely absent from the diets of others. Gray-banded kingsnakes primarily hunt lizards, while Santa Catalina Island rattlesnakes feed almost exclusively on birds. Eastern hognose snakes live on frogs and toads, while diamondback water snakes are piscivores with a predilection for catfish. Other species, such as the infamous king cobra of South Asia, subsist almost entirely on other snakes. These types of things – rodents, lizards, birds, frogs, fish and snakes – make up the vast majority of the diets for the vast majority of species. They are the bread and butter of the “average serpent,” were such a thing to exist. But what about those snakes who stray from the mean? Some species – racers and copperheads being a couple of the best examples – are known to incorporate the occasional insect into their diet. Large caterpillars, grasshoppers and roaches are among the most commonly consumed invertebrates, but periodical cicadas are an important food source during their mass emergences. 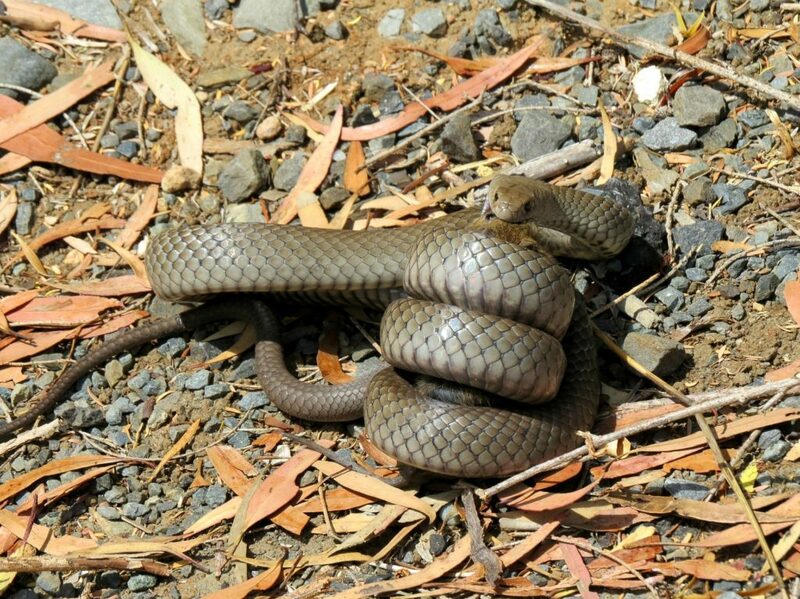 And while copperheads and racers grow large enough to eat mice and other typical snake prey, other snakes do not. Some species must feed on insects and other invertebrates to survive. Blind snakes of the families Typhlopidae and Leptotyphlopidae, for example, are some of the smallest snakes in the world. Six-inches-long and sightless, blind snakes primarily consume ants and termites, but they will eat just about any tiny arthropods they encounter. Earthworms are another great food source for small terrestrial snakes. Earthworms are also convenient prey, as they have the habit of living where small snakes like to hang out – under rocks, logs and surface debris. Though virtually any small snake will consume a worm if given the chance, ringneck snakes, garter snakes and – wait for it — worm snakes are particularly fond of earthworms. Keeping with the soft and slimy theme, many snakes find slugs irresistible. Some consume slugs opportunistically, but red-bellied snakes deliberately seek them out. Snails derive some protection from their tough shells, but they aren’t immune from prowling serpents either. Many snail-eating specialists hunt in the tropical forests of Asia and South America. Specialized jaws help these snakes extract snails from their shells. But it doesn’t stop with snails — snakes have derived ways of eating all sorts of protected prey. Some snakes will grab a turtle as quickly as they would a mouse. Eastern kingsnakes, for example, often eat small turtles, as do yellow anacondas and indigo snakes. Coachwhips and racers eat hatchling box turtles from time to time, while northern water snakes occasionally eat small aquatic turtles. 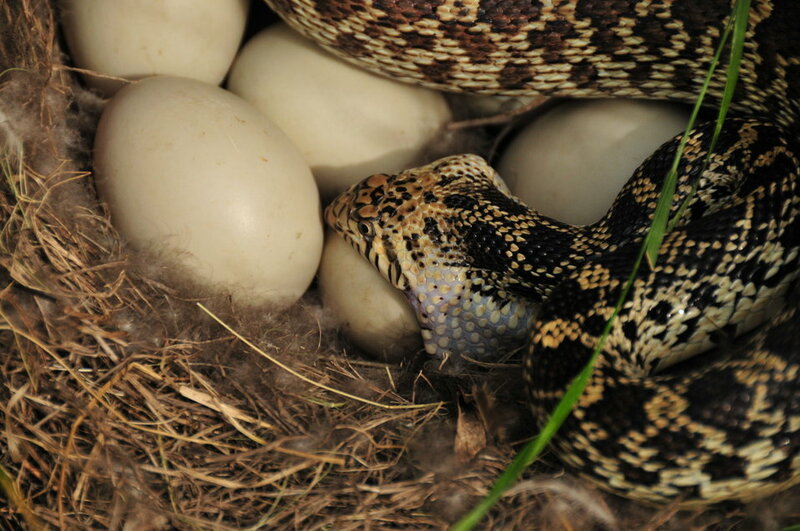 Eggs are also an important food source for many snakes. Usually, they form little more than an incidental component of a species’ diet, but African snakes of the genus Dasypeltis, subsist almost entirely on bird eggs. The pretty, tri-colored scarlet snake also specializes on eggs, but being far too small to consume the eggs of most birds, it seeks out lizard eggs instead. Of course, other snakes have an entirely different problem. Far from small, some species must seek out large prey to satiate their stomachs. Green anacondas – the world’s largest snakes – find capybaras – the world’s largest rodents – to be the perfect size for snacking. Capybaras approach 140 pounds in weight – just let that sink in. If they aren’t careful, hooved ruminants may even find themselves staring down the business end of a hungry snake. 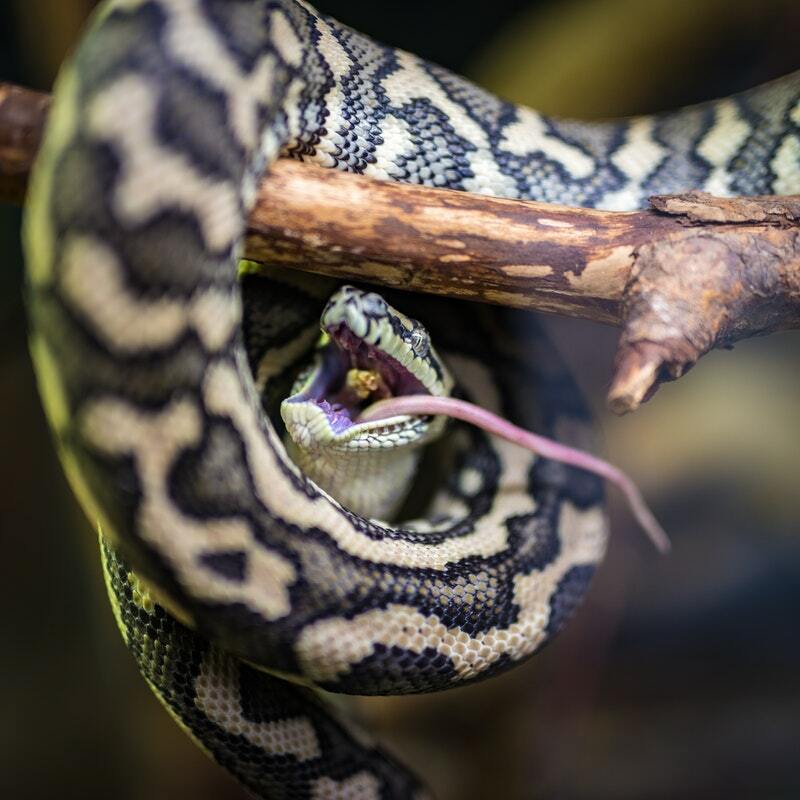 Reticulated pythons sometimes eat deer and pigs, while African rock pythons ambush impalas. Burmese pythons will eat deer and other large herbivores when the opportunity arises. But none of this should suggest that big meals are solely the domain of boas and pythons. Gaboon vipers, for example, prey upon royal antelopes. Though they are small by antelope standards, royal antelopes typically weigh about 6 pounds – that’s about half as much as the vipers who eat them weigh. Not even crocodilians – formidable, armored animals that sit brazenly atop most food chains – can be careless around snakes. Small boids feed upon juvenile crocodilians, while anacondas and Burmese pythons occasionally ingest adults. And while we are discussing large animals at the top of the food chain, it bears mentioning that large boids and primates have a long, intertwined history. Members of both groups surely appear in the bellies of their counterparts from time to time. Bona fide accounts of actual snake predation on humans are ridiculously rare, but a few do exist. The list of prey types goes on and on. If there’s a viable food source, chances are a snake species has learned to capitalize on it. Are there any snakes that eat bats? Yup. Most rodent-eating climbers probably catch the occasional bat, but Puerto Rican boas are particularly adept at snagging them in midflight. 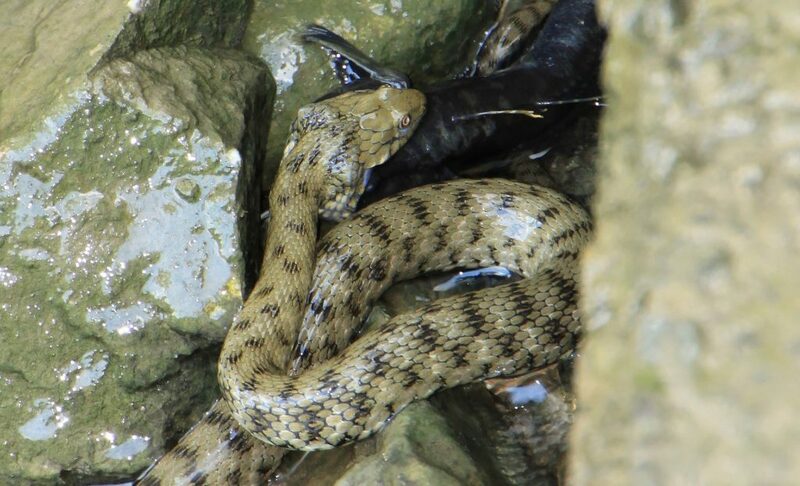 What about snakes that eat fish eggs? In fact, turtle-headed sea snakes subsist entirely on fish eggs. This specialized diet has even manifested in a drastic reduction of the species’ venom apparatus — their fangs have shrunk to about 1 millimeter in length, making it very difficult for them to inject venom effectively. 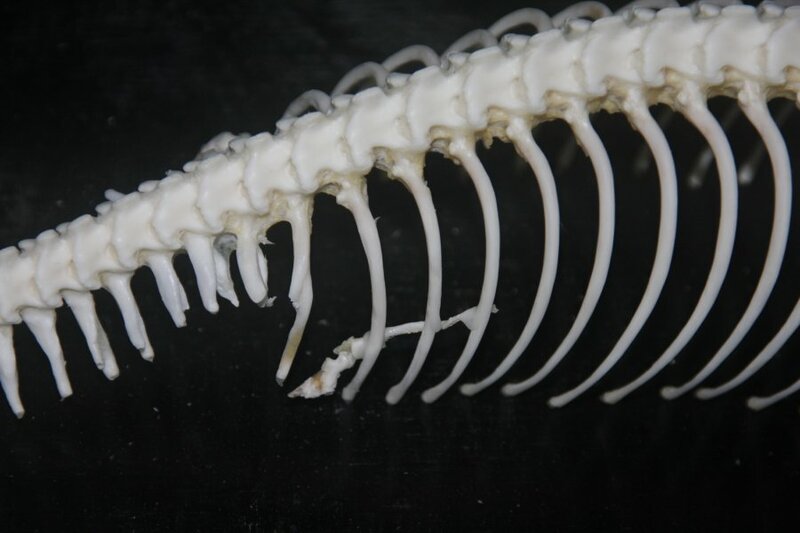 Why else would glossy crayfish snakes have chisel-shaped teeth? For that matter, why do you think they are called glossy crayfish snakes? Alright smartass, what about freshly molted crayfish? That’s all queen snakes eat. Yes, but it doesn’t always turn out well. We could continue, but I’m sure you see where this is going. Most of the snakes that consume these strange items are specialists to some degree; they sit at the distal ends of a diverse dietary matrix. You’d expect specialists to thrive on unusual food sources. But it is far more interesting to examine cases in which generalists ingest truly strange things. To that end, we’ll conclude with cottonmouths. Big, bold, baddies of backwater swamps and streams, cottonmouths eat what they want. 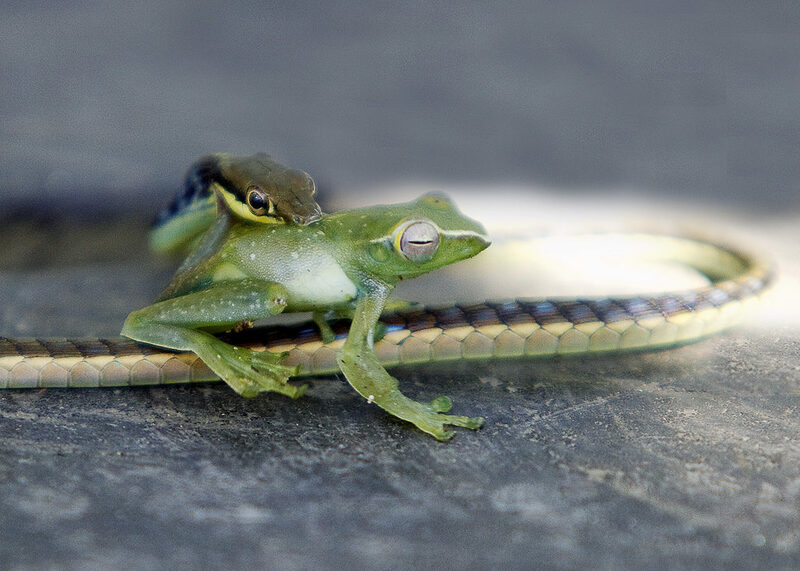 Fish, frogs, snakes, rats, ducks and baby gators are all fair game, but like most generalists, they are great at exploiting whatever is abundant in their particular location. The cottonmouths of Florida’s Seahorse Key have capitalized on just such a food source. Seahorse Key is a popular nesting spot for many seabirds. They fly in and build nests in the island’s trees, where they lay eggs and raise young. To feed their offspring, the adult seabirds capture fish, swallow them and then fly back to the nest. Once there, the adults regurgitate the fish, and the chicks feast. Occasionally one of these vomit-covered fish falls to the ground. The cottonmouths, who must have the most unrefined palates on the planet, then feed upon these dropped fish. So reliable is this food source that cottonmouths on the key regularly patrol the areas under the nests, specifically seeking out vomit-covered fish. The rodent-eating reputation snakes have is certainly justifiable in some cases. 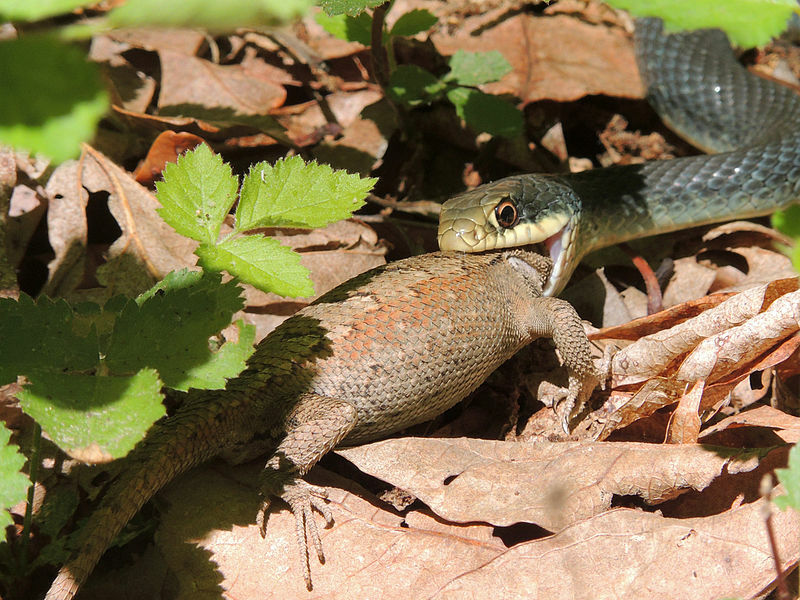 And part of the reason that environmental educators and snake enthusiasts emphasize the rodent-eating habits of snakes is to counteract the animosity many people have toward snakes. But snakes are an incredibly diverse group of animals, who’ve demonstrated quite a bit of evolutionary success. And part of the reason they’ve managed to do so is that they have adapted to a wide variety of food sources.